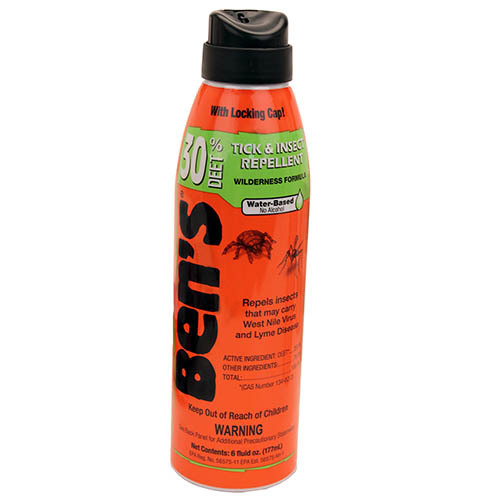 Ben's 30 Tick & Insect Repellent offers protection from ticks and insects that may carry West Nile Virus (WNV), Lyme disease, Malaria, Eastern Equine Encephalitis (EEE), and other infectious diseases. Providing up to 8 hours of effective protection, Ben's 30's unique formula is made to evaporate slowly - so repellent stays on longer with little absorption into the skin. 6 oz continuous spray bottle provides effortless, even application. Don't Get Bitten, Get Ben's!